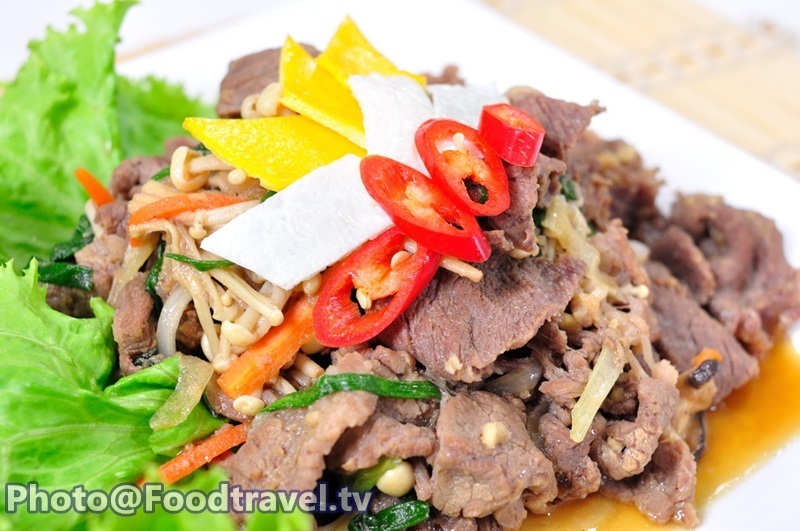 Bulgogi - Istanbul's Golden Bulgogi Korean style beef stir fry sauce, the Korean dishes, this is probably familiar to many people who eat some Korean food. Actually it is fermented meat sauce, then stir-fried with vegetables on their own. Is very popular in Korea. The delicious taste of Thai people ever. Of course, I do not. Of course, it tastes delicious authentic Korean. 1. Cut shredded into piece.for big slice cut 1/4 Then put into a mixing bowl. 2. Add sliced Chinese pear and mix ingredients with hands. 3. Add pepper, mix well with meat. Marinate for 20 minutes. 4. Add 2 kinds of soy sauce into a mixing bowl, garlic, ginger syrup, sugar and mix well together. 5. Mix marinated meat with sauce in step 4 then marinate at least 10 minutes. 6. 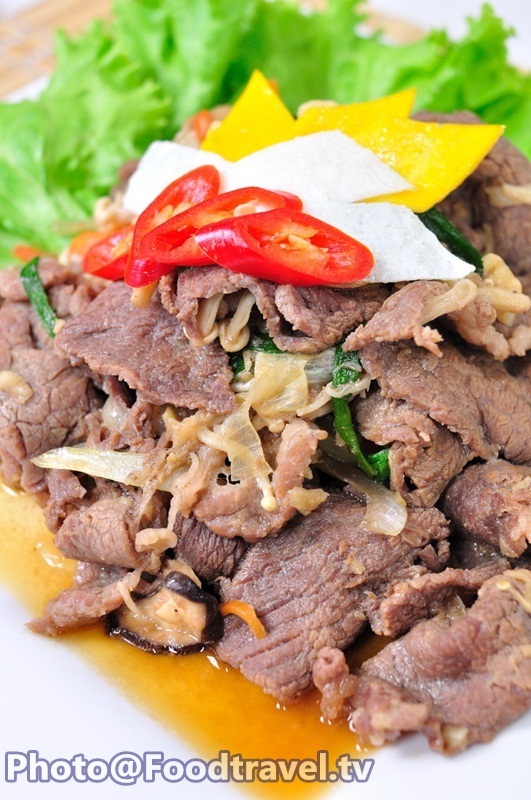 Heat the pan, pour oil, add beef meat that already marinated with sauce then stir thoroughly by chopsticks. 7. When beef cooked as a half. Put the rest vegetables down and stir to combine until the meat is well-cooked. Add sesame oil before turn off the gas. Stir once again and finish. Ready to serve. Bulgogi - Istanbuls Golden Bulgogi Korean style beef stir fry sauce, the Korean dishes, this is probably familiar to many people who eat some Korean food. Actually it is fermented meat sauce, then stir fried with vegetables on their own. Is very popular in Korea. The delicious taste of Thai people ever. Of course, I do not. Of course, it tastes delicious authentic Korean. 1. Cut shredded into piece. for big slice cut 1/4 Then put into a mixing bowl. 2. Add sliced Chinese pear,and mix ingredients with hands.